This is a short illustrated biography of J R R Tolkien. It emphasises his formative childhood in Warwickshire, and illustrates shows some locations in Warwickshire that are particularly evocative of certain places in his books. 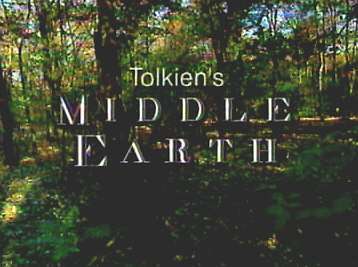 Some of the images on this page are screenshots from a BBC Documentary Tolkien's Middle Earth; some are from a BBC Omnibus program J R R Tolkien - Master of Middle Earth; some are from Channel 4's Treasure Hunt program; and many are my own. The biographical details are based on information in Humphrey Carpenter's "J R R Tolkien: the Authorised Biography". John Ronald Tolkien was born in Bloemfontein, South Africa, on 3rd January 1892. His parents both came from Birmingham, England, and were staying in South Africa on business. In 1896 his mother and his younger brother Hilary returned to England on a short visit, and while here, their father died. "To find oneself, just at the time when one's imagination is opening out, in a quiet Warwickshire village, engenders a particular love of a central middle England countryside." His mother had originally come from Birmingham, and on their return from South Africa found lodgings in the Warwickshire village of Sarehole, which was a couple of miles outside Birmingham, on the road to Stratford. 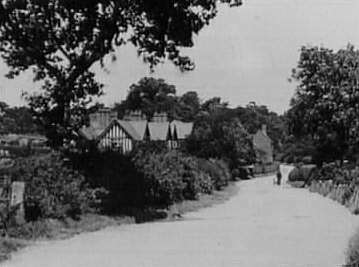 This old photo shows Sarehole as it was when Tolkien grew up there. 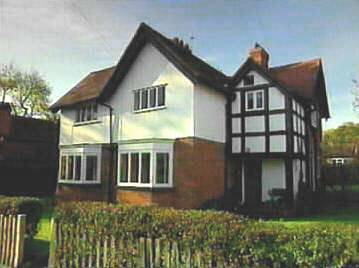 And this is the house in Sarehole where they lived, shown as it appears today. There were only a few houses at Sarehole, but there was also a water mill, used for grinding flour. 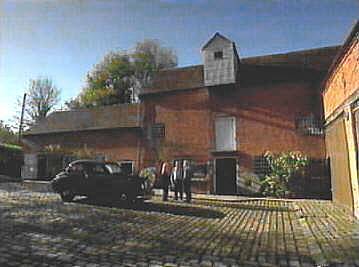 This is Sarehole Mill, which became Tolkien's Mill at Hobbiton. Near the end of his life Tolkien left a sum of money to go towards the preservation of Sarehole Mill. 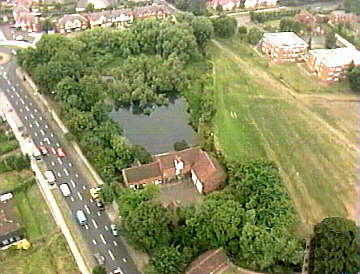 This is a modern aerial view of Sarehole, showing the Mill in the foreground, with the mill pond in the center of the picture. Tolkien's childhood home was in Gracewell Road, which is the road at the very top right. The old village has now been engulfed by urban sprawl from Birmingham. 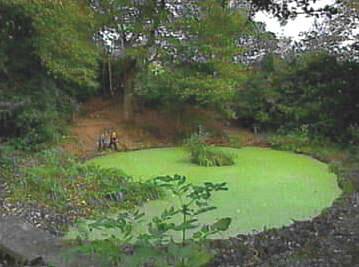 Just behind Gracewell Road is Moseley bog, a secret and atmospheric place, where the Tolkien bothers liked to play. Sarehole lies on the North-West edge of what used to be the Forest of Arden. The name "hobbit" comes, consciously or otherwise, from the Old English name Hob. This is a character well known in English folklore. 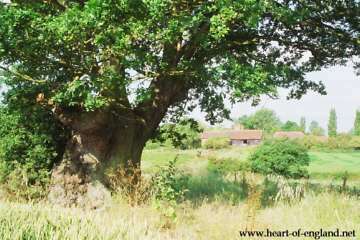 There are several roads in Warwickshire which were named, in Medieval times, after this character. 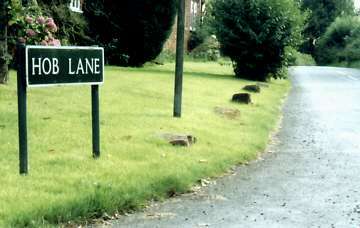 The Hob Lane shown here is a quiet country lane, still unspoiled, about 6 miles East of Sarehole, and lying just to the North of Temple Balsall. Temple Balsall was the home, in Warwickshire, of the Knights Templar, who are believed to have revered a similar figure. 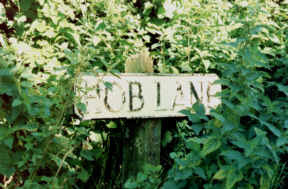 This is the road sign of another Hob Lane in Warwickshire, lying to the East. The road sign here was old and weathered, and overgrown with stinging nettles. 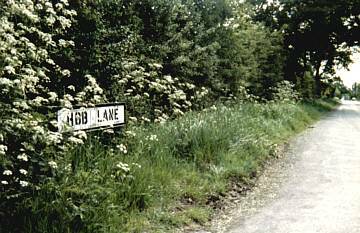 This particular Hob Lane is very much "hobbit country". This is a view along Hob Lane. You can well imagine hobbits walking, unseen, over the fields behind these tall winding hedgerows. 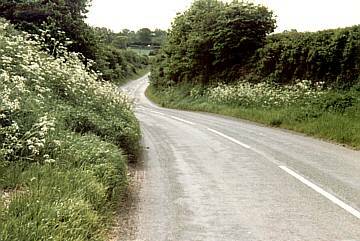 Both of these Hob Lanes, and the entire area of Warwickshire between Sarehole and Stratford, lie within the old Forest of Arden. This is one of the Tolkiens' neighbours in Sarehole, Samson Gamgee, whose name has become immortalised in Sam Gamgee. 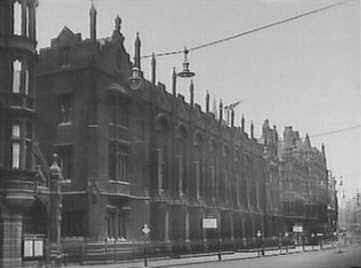 In 1900, Tolkien gained a place at King Edwards School in Birmingham. This was an impressive Gothic building in the center of the town. That meant a 4-mile walk to school. At about this time his mother became a Roman Catholic, and she wanted to be able to attend a Catholic church. So, the family moved, from the green and leafy Sarehole into the dark and urban environment of Birmingham itself. In 1904, his mother became ill with diabetes, for which there was then no treatment, and which proved fatal. The Tolkein brothers came under the care of a Catholic priest, Father Francis Morgan. Father Francis found the boys lodgings at the home of a Mrs Faulkner. Tolkien was then 16. Also lodging in the same house was an attractive girl named Edith, aged 19, and a relationship between them began. This outraged Father Francis who forbade Tolkien to see Edith, until he was 21. Tolkien applied himself to his studies at King Edwards and in 1911 obtained a scholarship to Oxford University, to study languages. When he became 21, while at Oxford, he again contacted Edith, and they renewed their relationship and planned to marry. Edith moved to Warwick, which Tolkien particularly liked. 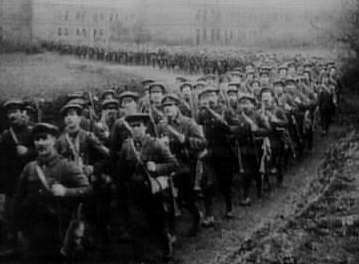 In August 1914, the First World War broke out. Tolkien was able to complete his degree in June 1915, but soon had to leave with the troops. 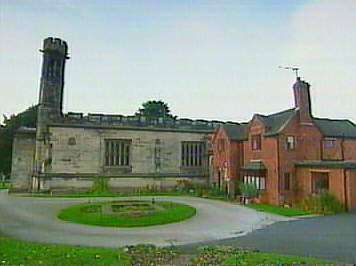 Before leaving for France, he and Edith married, at the small Catholic Church in Warwick, on 22 March 1916. He was sent to the Western Front, just before the Battle of the Somme. After four months of horror in the trenches of the Somme, he caught trench-fever (fortunately for him), and was returned to England. Most of the friends he had formed at University did not return. 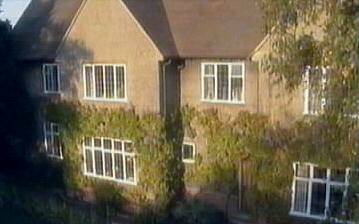 Tolkien recovered and stayed with Edith at Great Haywood in Staffordshire. 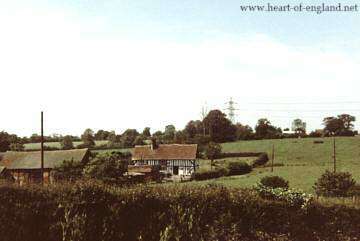 It was at the Presbatory at Great Hayworth, shown here, that Tolkien began to write what was to become the Silmarillion, which was to serve as a framework for the some of the ideas in The Lord of The Rings. Part of his motivation was a need to do something for all the friends he had lost. He says that he had an ambition to write a "Mythology of England" (biography p97). The A34 Birmingham to Stratford road, which runs through Sarehole, continues through Stratford, and passes through the Warwickshire village of Long Compton. Here are Warwickshire's Barrow Downs. There are long barrows on the tops of these hills. 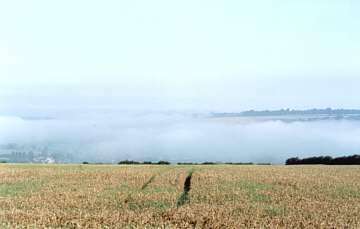 On the particular day that these pictures were taken the lower slopes of the downs were shrouded in fog. This is Tolkiens "Fog on the Barrow Downs". Just as described in his story, this fog can appear and disappear rapidly. Just above Long Compton, and close to where the picture above was taken, is the Rollright Stones neolithic monument. According to Professor Shippeys Road to Middle Earth, p75, when Tolkien refers to Standing Stones, Rollright is the place he is thinking of. 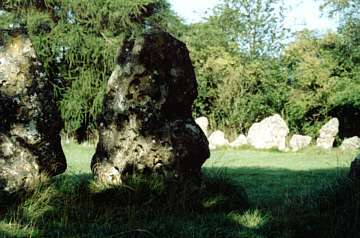 Tolkien's phrase "jagged teeth out of green gums" is also a good description of the stones here at Rollright. "Those hills were crowned with green mounds and on some were standing stones pointing upwards like jagged teeth out of green gums." "There stood a single stone standing tall under the sun above"
At the end of hostilities, in November 1918, Tolkien was demobed and obtained a position working on the New English Dictionary. In the summer of 1920 he applied for a post of Reader in English Language at Leeds University. In 1923 Tolkien caught a severe cold which turned to pneumonia. To recover he went to stay with his Aunt Jane, who lived on a farm named Bag End Farm (shown at left). This is the original Bag End, which was to reappear a few years later, as Bilbo's home in The Hobbit. 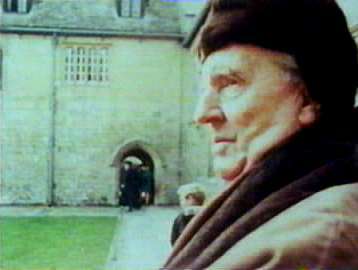 In 1925 Tolkien returned to Oxford, no longer as student, but as Professor of Anglo-Saxon. This house is 20 Northmoor Road, Oxford, where Tolkien lived for most of his working life. During the long uneventful years at Oxford, Tolkien wrote The Lord of The Rings, and produced The Hobbit, a compact story, for children, forming a part of the grander design. 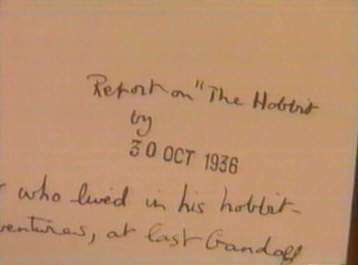 In 1936, Tolkien submitted The Hobbit to publisher Stanley Unwin. 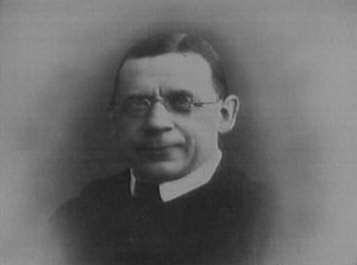 This picture shows Stanley's son, Raynor Unwin. Raynor Unwin was 10 years old when Tolkien submitted The Hobbit for publication. 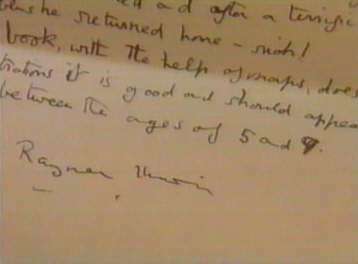 Raynor Unwin had the task of "reviewing" children's books for his father, and wrote the first review of The Hobbit. Raynor Unwin ends by saying "this is a good book and should appeal to all children between the ages of 5 and 9". The Hobbit was published in 1937. 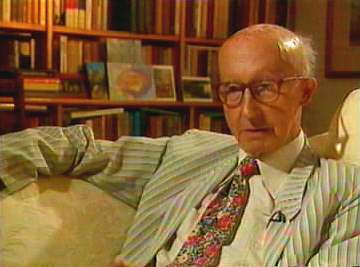 Some years later, Raynor Unwin, then grown up, assisted Tolkien through the difficult publication of The Lord Of The Rings. This is the flysheet of a first edition of The Hobbit that Tolkien gave to his Aunt Jane. You can just see "Aunt Jane" at the top of the page. 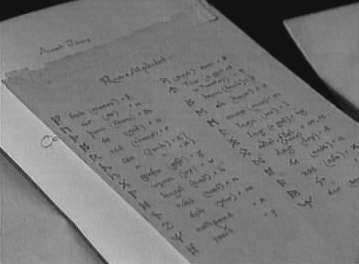 Tolkien had included a complete handwritten rune alphabet in this book. Along the top of the Cotswold escarpment there are many Iron Age hill forts. 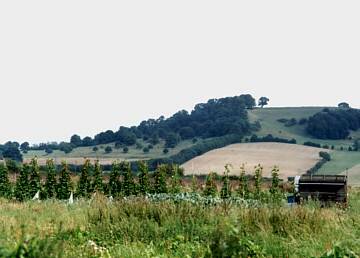 The one which gives a feeling of being much like Tolkien's Weathertop is the flat-topped Meon Hill. This hill is a landmark visible for miles around in all directions. And the hill itself commands a strategic view of the roads around. 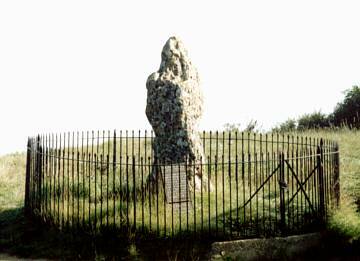 Meon Hill has many associations with the supernatural and witchcraft. The hill is said to have been created by The Devil, in anger, at the construction of Evesham Abbey some miles away. There are legends that phantom hounds of the Celtic King Arawyn hunt the hill at night. In 1945 Meon Hill was the site of a well-publicised ritual witchcraft murder, the victim impaled on a pitchfork, his body marked with pagan symbols. 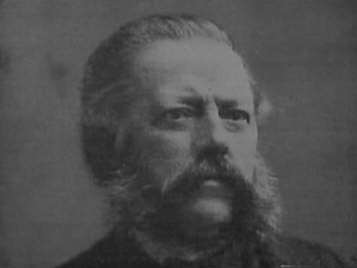 Investigations were led by Scotland Yard's "Fabian of The Yard". (Full details of all these in Haunted Warwickshire, by Meg Atkins, pp118-122). Soon after the publication of The Hobbit, in 1937, Unwins asked for a sequel. Tolkien already had much of the material for The Silmarillion, and wanted them to publish that. But The Silmarillion has no hobbits in it. So Tolkien embarked on writing a second hobbit story - The Lord of The Rings. This second, huge, story was not completed until 1949, and was eventually published in 1954-55. This is Raynor Unwin's brother, David Unwin, talking about the publication of The Lord of The Rings. He explained that this was a very large work, and publication had been considered a risky venture. Because of the risk, The Lord of The Rings was published in 3 parts. The publication of the 1st volume cost £1,000, which would have had to be written off if the book had flopped. 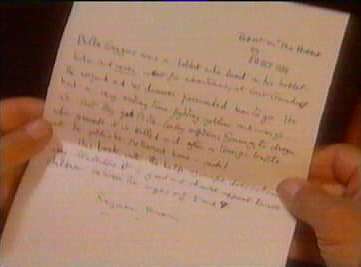 The picture above is taken from an interview which was filmed in 1967. You may imagine Tolkien to speak with a deep and slow voice, as someone who did not know, might expect a Gandalf to speak. But in fact, Tolkien did not have a deep voice, and spoke quite rapidly, reflecting his nimbleness of mind. In his biography Humphrey Carpenter also comments on Tolkien's quality of speech (and his short stature). Not what you would expect of a Gandalf - more like Bilbo. 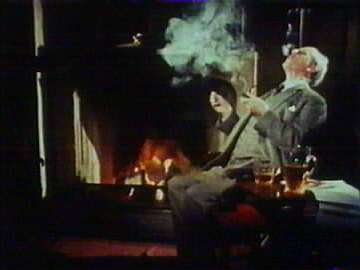 Tolkien liked to smoke a pipe. Here, he demonstrates his party trick blowing smoke rings. 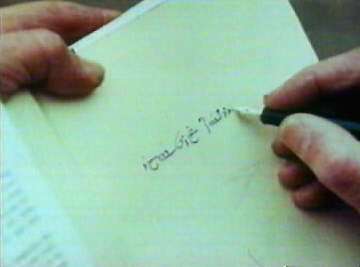 Here Tolkien was filmed writing, in Elvish runes, the phrase "a star shines upon our meeting". 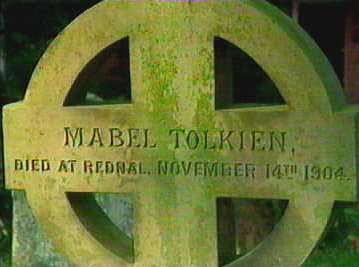 Tolkien retired in 1969, and he and his wife moved to Bournemouth. 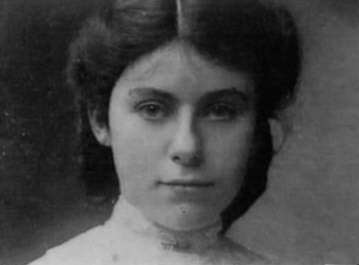 Edith Tolkien died on 22 November 1971. 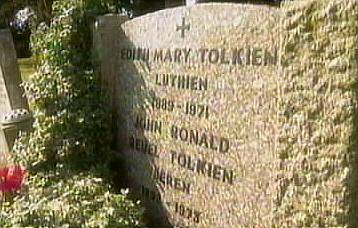 Tolkien died on 2 September 1973. They are both buried in Wolvercote cemetery, Oxford. Interpretation - What's It All About? 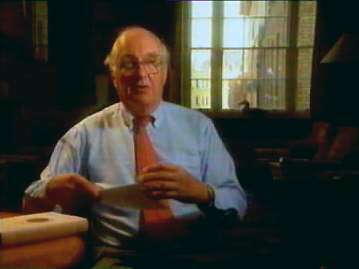 The BBC Omnibus program interviewed a range of people interested in Tolkien's work. "If you don't believe that Tolkien is the greatest writer there ever was when you are 13 years old there is something wrong with you. If you still believe that when you are 53 there really is something wrong with you." People's interpretations of Tolkien depend on their own experiences and knowledge. So Terry Pratchett, who writes what are nothing more than children's stories, sees in Tolkien just a children's story. "As ring-bearer you have seen that which is hidden, and perceived my thought more clearly than many who are accounted wise." 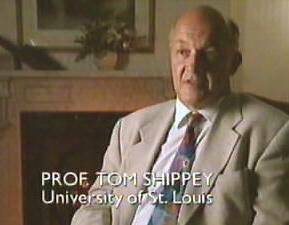 An interesting view on the Omnibus program was given by Professor T A Shippey, himself a philologist, who for some time held the same position and taught the same syllabus as Tolkien had at Leeds. Professor Shippey maintains that the invention of languages is the foundation of Tolkien and that the stories were made to provide a world for the language, rather than the reverse. Shippey refers to this as "Tolkien's Heresy". The idea behind Tolkien's Heresy can be found in universal beliefs about the "power of the word". The idea occurs in Ancient Egyptian. The Egyptians had a belief that a word contained all the properties of the thing. Plato's Cratylus is his exposition on the nature of language. Plato comes to the conclusion that words are not arbitrary labels. It occurs at the beginning of the New Testament, "in the beginning was the word". Tolkien's Letters (p281), includes are some of his drawings of Ancient Egyptian crowns, and he writes with knowledge about Egyptian beliefs. So Tolkien could have formed his beliefs from any, or more likely, all, of those sources. Tolkien's linguistic insights, and the way they are applied in his work, differentiate Tolkien, quite radically, from all other fantasy writers. It is tempting to see Tolkien himself as a Gandalf-like figure, and to ask whether, in any of the statements which Tolkien makes about Gandalf, he might also be speaking about himself. When Tolkien introduces Gandalf to us, he explains that Gandalf's fame in The Shire is "mainly due to his skill with fires, smokes and lights", but that the Shire folk know nothing of his "real business". When the hobbits first meet Aragorn in The Prancing Pony, Aragorn tells Frodo "As a rule you can only see his jokes and toys. But this business of ours will be his greatest task". And Galdariel says "Those that followed him knew not his mind, and cannot report his full purpose". Tolkien disliked people asking this question, and was reluctant to answer it. The nearest he comes to an answer is in his Letters, where there he says that it is about death and immortality. The Lord of The Rings is certainly not just about two parties fighting it out with weapons. Such an interpretation doesn't do justice to the place of Frodo and Ring. Particularly to much of the first part of the story, and Gandalf's talks with Frodo about the Ring. Nor to the role of Galadriel, who might be seen as pulling the strings of Fate, in order to bring the entire story to fullfillment.